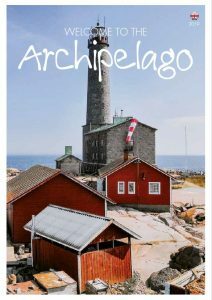 Read our brochure "Welcome to the Archipelago", 2019 online by clicking on the image. Read ”Skärgårdsstadens hamnbok” online (in Swedish/Finnish) by clicking on the image. The brochure was published in 2017, some changes may have occured. Fill in your personal details and choose the brochures you want by clicking the boxes. 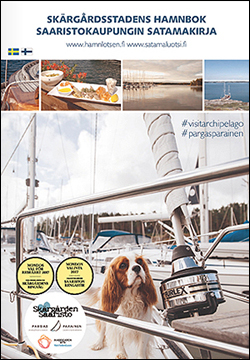 If you want more than one brochure, or brochures in the other two languages (Finnish or Swedish), you can account for these in the comment section. The collected data is used to send the requested material to the person who ordered it. E-mail addresses and other information, is never shared, sold or rented to a third party. The collected data remains in the maintenance records of the managing entity (City of Pargas) during three years, after which the data is automatically erased.